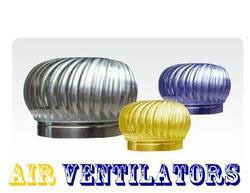 We are manufacturers, suppliers and service providers of Air Ventilators that includes Roof Ventilators, Turbo Ventilators, Natural Wind Ventilators and Wind Driven Roof Ventilators. Air Ventilators acts like an exhaust fan and removes the Unhygienic Air, Fumes, Smoke, Hot Air, Gases, Bad Odor and dust particles from a closed area. Our range can be easily installed on the roofing sheds and it works on the natural energy of wind. We are one of the well-accredited manufacturers and traders of a quality-sorted range of Turbo Roof Ventilator. Our products are sturdily constructed with perfection in order to attain clients satisfactions and trusts. The entire gamut of these products is thoroughly tested and checked on the specified parameters in order to gauge the defect-free nature. 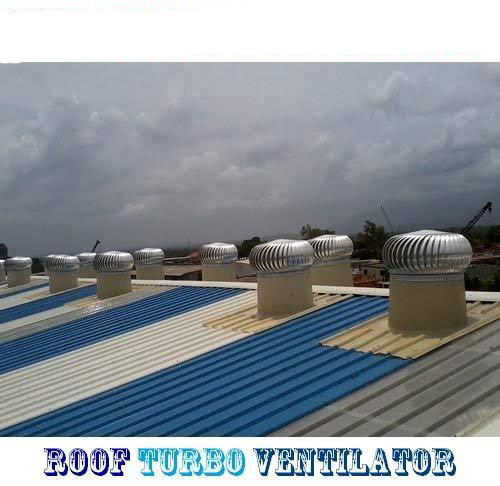 We have scored an edge over other competitors by offering an optimum quality range of Roof Top Ventilators. Our professionals ensure to construct these ventilators with accurate dimensions and high performance features. The entire range of these ventilators is manufactured in accordance with the industry standards and norms in order to keep pace with the ongoing trends and demands. We have gained immense expertise in offering a quality-approved range ofNatural Wind Ventilator. Our professionals make sure to offer these products in strict compliance with the industry standards and norms so as to cater to the divergent demands of the industry. These ventilators can be easily fitted to ensure 24x7 natural ventilation. We manufacture these ventilators with accurate dimensions and specifications so as to fulfill the variegated requirements of the customers. We are one of the renowned names in this domain engaged in manufacturing and trading a qualitative assortment of FRP (fiberglass reinforced plastic) Wind Ventilators. Our professionals ensure to fabricate these ventilators by making use of the finest quality material in strict adherence with the industry standards and norms. 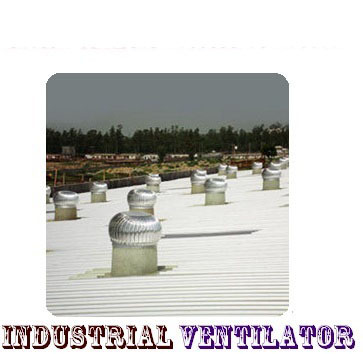 The entire array of these ventilators is offered in various specifications and details as per the requisite needs and demands of the customers. We are engaged in manufacturing and trading a wide range of Aluminium Roof Wind Ventilators. 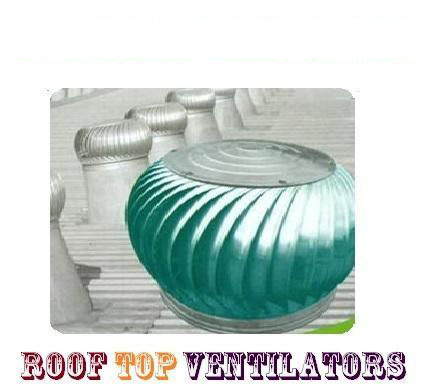 These ventilators are offered in various dimensions and sizes as per the requirements. Manufactured from the best available material and metal alloys, these ventilators are highly acclaimed in the industry. Moreover, in order to keep pace with the ever changing trends, we offer these products in strict adherence with the industry standards and norms. 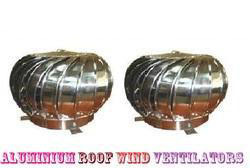 Our company offers a wide range of Turbine air Ventilator that is renowned for its sturdy spider type frame construction to withstand adverse weather conditions. This range is manufactured under the adherence of set industry standards and quality norms. Our quality analysts test the entire range using advanced technologies so as to ensure its high standards. Clients can avail this range in different sizes and as per their specifications at market leading prices. 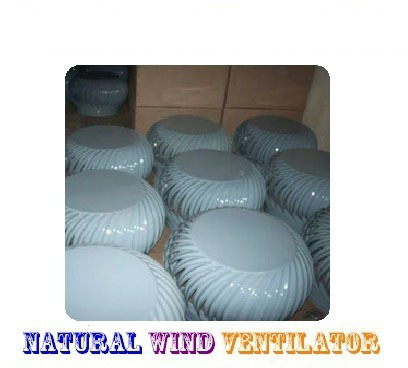 The lighter air gets accumulated in the turbine of the Wind Ventilator. As the hot air tries to escape from the turbine, it exerts a backwards thrust on the vanes and sets them in a rotational movement. When the ventilator blades rotate the turbine it gives rise to the centrifugal force and creates a vacuum inside the turbine .The partial vacuum is replaced by strong upward forceful movement of the wind. As the hot air is thrown out, fresh air starts entering through windows and door openings. This works for a perfect exhaust by wind driven ventilator thrown out, fresh air starts entering through windows and door openings. that is renowned for its sturdy spider type frame construction to withstand adverse weather conditions. This range is manufactured under the adherence of set industry standards and quality norms. Our quality analysts test the entire range using advanced technologies so as to ensure its high standards. Clients can avail this range in different sizes and as per their specifications at market leading prices. 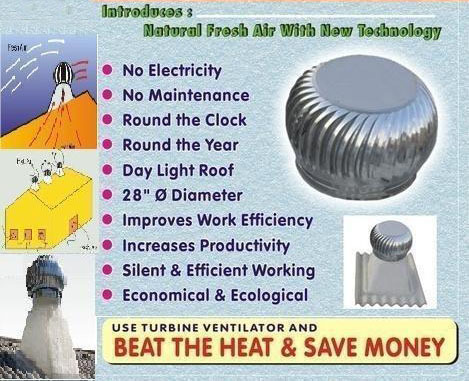 Our clients can avail an extensive range of Air Ventilators from us. These ventilators are precise designed by the team of experienced engineers, who have vast knowledge about these ventilators. The ventilators offered use are suitable for the buildings and places, where there is suffocation sue to the less space for air. 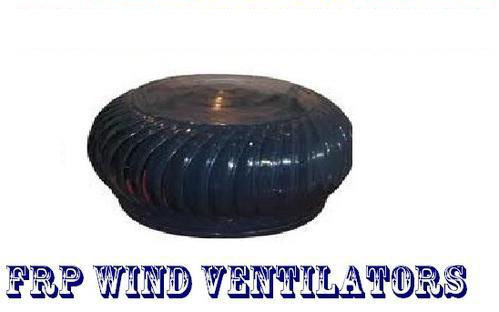 Our clients can avail these ventilators in different grades as per their requirement. These ventilators are available in an affordable range. 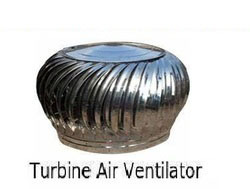 Leveraging upon our technologically-advanced production facility, we are involved in offering a wide assortment of Turbo Ventilator to our clients. The offered ventilator is operated by utilizing a non-conventional source of energy to exhaust the heat, smoke, fumes, humidity, etc. Manufactured using premium quality raw material and modern technology, our provided ventilator ensures its durability and superb performance. Moreover, as per the various requirements of our clients, we provide this ventilator with different specifications. 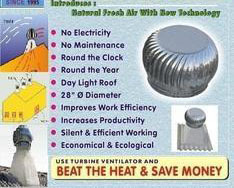 Ventilation is the movements of air perfect definition of its to removing contaminated air from the workplace. Ventilator is device that wills remove contaminated air from the workplace by the mech & electrical energy, exhaust fan & mech vents are traditional type ventilators. A slightest wind draft induces outward airflow by centrifugal force. This results in negative pressure inside the building. Fresh ambient air from out side rashes in to building & maintains comport condition, this flow of current creates a continuous cycle of ventilation. Its having self - lubricant Teflon bush & blades are fabricated wits special grade aluminum or stainless steel & venture doom made from UV based fiber glass. Ventilator having different parts like top & base ring shaft & axle, turbine wheel & blades, self lube bushing, venture dome,bushing seal etc. Ventilator provides a safe, cool, healthier & more controlled work environment in following with proper analysis & installation process to ensure 100 % effective performance.